This Curry Chicken and Rice Soup Recipe is a delicious twist on an old classic! It’s easy to make and totally a family friendly meal. You all know by now that I love soups! They’re such an easy, comforting meal, and often inexpensive too. This Curry Chicken and Rice Soup recipe is definitely no exception! I was introduced to this soup recipe by my sister-in-law. My husband’s family is pretty large (he’s the second oldest of ten kids! ), making it hard for us all to get together easily at someone’s house. So once a year, we all head to a big rental house in the mountains (we call it a cabin even though it’s totally not rustic!) for a long weekend of hanging out and making memories. And of course a big crew like that takes a lot of food! To keep the meal prep from totally taking over our fun, we divvy out the work and each family is in charge of preparing one meal for the whole crew. It works really well and it’s always fun to see what delicious ideas everyone comes up with. I still love traditional chicken and rice soup recipes, but I really enjoy the unique sweet and savory flavor combination that the curry gives to this one. I think it’s a fun twist and like the variety that it adds to my collection of soup recipes. I often combine it with my Classic French Bread and a salad for a totally easy, satisfying meal that the whole family loves. A delicious twist on an old classic! 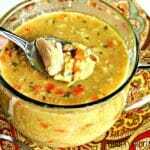 This Curry Chicken and Rice soup is simple to make and is family friendly too. In large saucepan, saute carrots, celery and onion in butter until soft. Add flour, seasoned salt and curry powder and stir until smooth. Gradually add milk; stir and cook until thickened. Add chicken broth, chicken and rice. Cook over low to medium low heat until hot, stirring occasionally. *Curry powders vary so much in how hot and spicy they are. The brand that I use is pretty mild and so I always add more than 1 tsp. But if you have a spicier variety, you may want to err on the side of caution. It's always easy to add more if you want it! 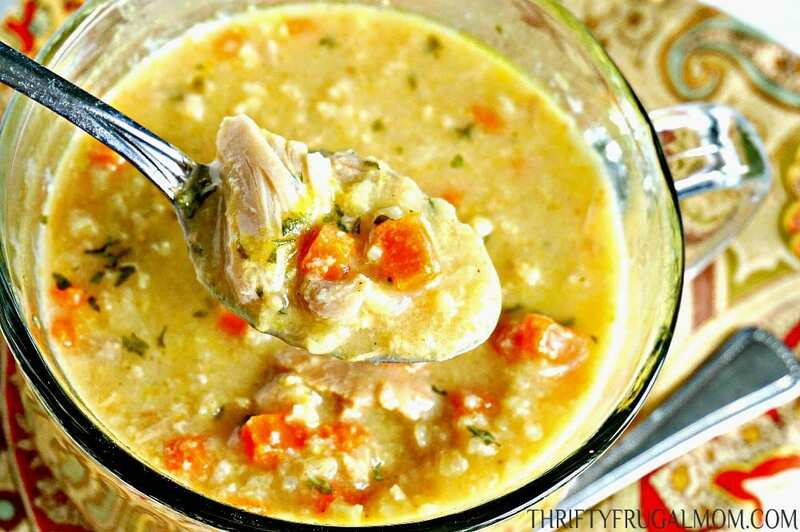 I love chicken and rice soup, and this sounds like a delicious twist! Me too! And it is a delicious twist for sure. Such a nourishing, comforting recipe for cold winter nights! I need a batch of this! This Curry Chicken rice looks so good and yummy! I would like to try this soon! Hope you enjoy it, Emman! 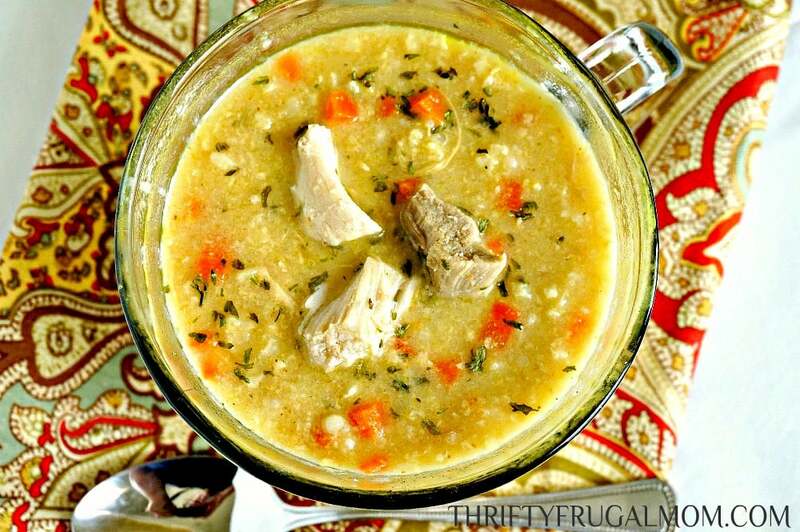 I have never tried curried chicken soup, but your looks amazing!! Always looking for more recipes for chicken soup! This recipe is perfect for chilly fall days! So warm and comforting! So much flavor! 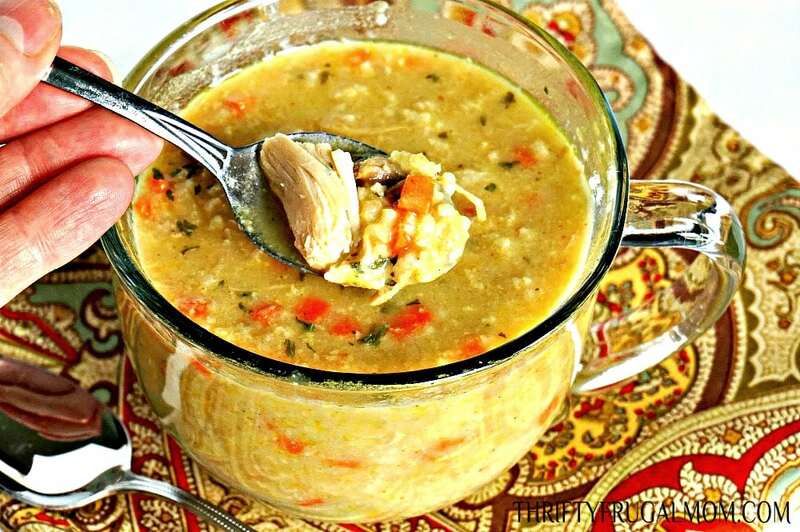 I love this twist on traditional chicken and rice soup. My family can't wait for me to make it again! This sounds perfect for a cool fall night. I want to try your bread too! I love the touch of sweet in the soup. You can't go wrong with soup and bread, can you?